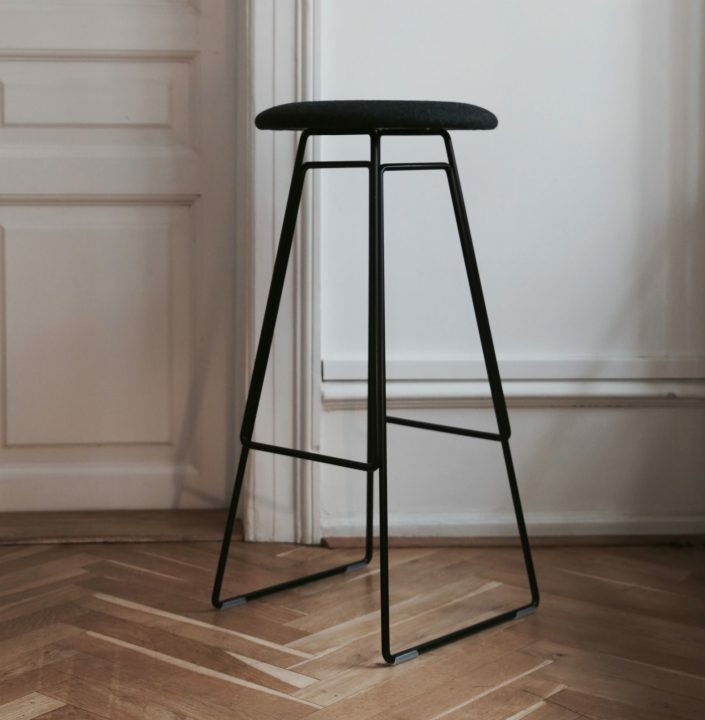 The Time Bar Stool was designed by Henrik Tengler in 2015 as an addition to his popular Time series. The slender steel frame gives the chair a minimalistic expression, while the round upholstered seat with the dot at the center, makes it fresh, modern and optionally colourful. 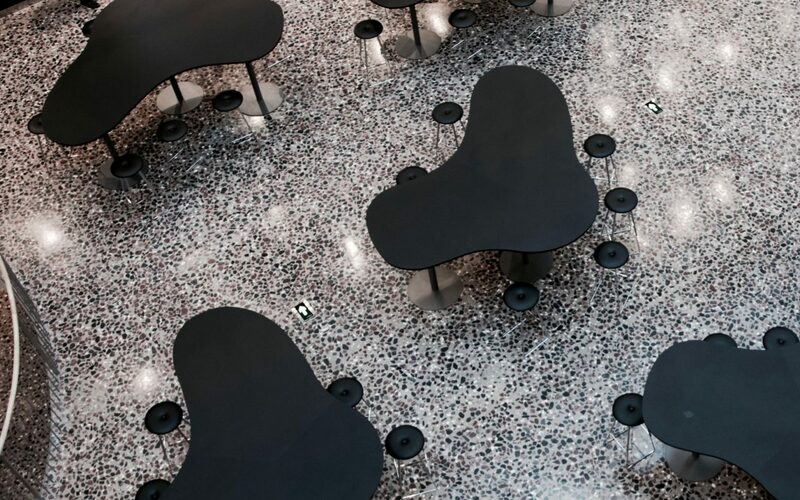 Despite a minimal look, the Time Bar Stool is both incredible stabile and strong which make the stool a natural fit for restaurants, bars and hotels. However, the Time Bar Stool also functions well in a dynamic workspace environment or at home at the kitchen counter. 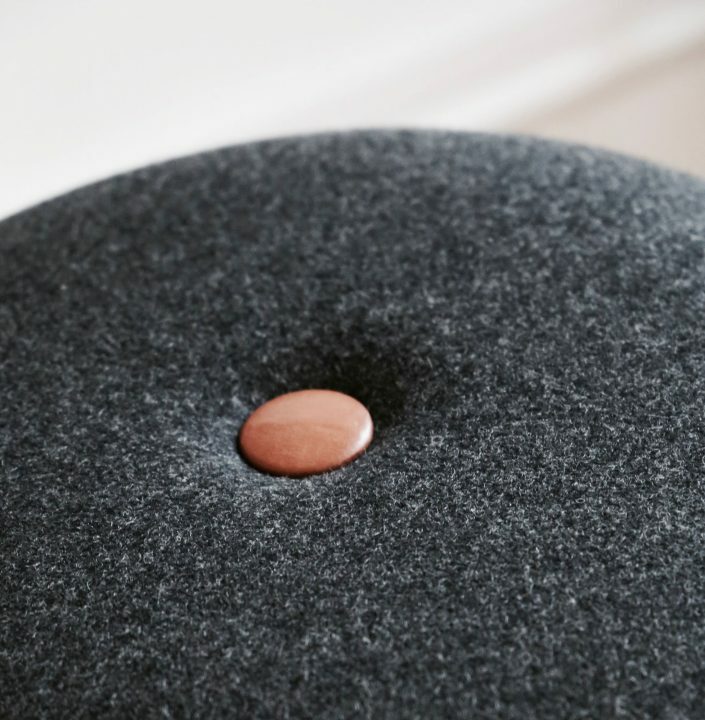 The seat and button comes in fabric or leather and can be personalised by mixing materials and colours. The frame is available in chrome or black painted steel. 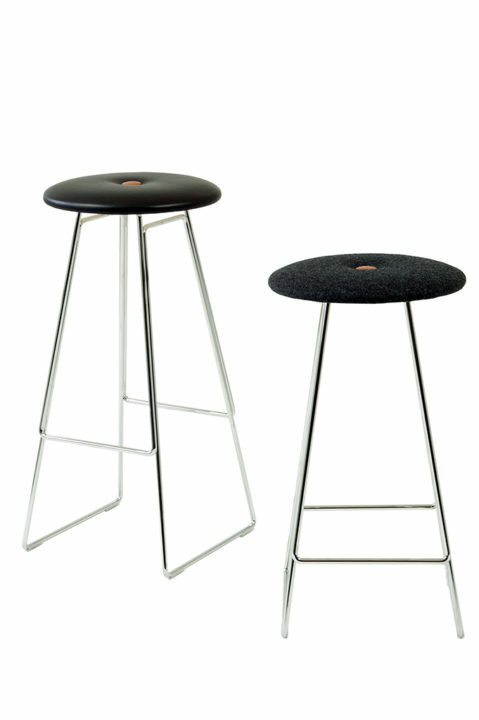 The Time Bar Stool is available in both counter – and bar height. Materials: Legs: Chrome or black painted. Upholstered seat w/button in fabric or leather.